Whilst my uneven skin tone can easily be camouflaged by my high coverage foundation, I've been desperately been trying to find some sort of wonder potion that will give me the confidence to go bare faced more often... And thanks to the lovely people at Abloomnova, I've found an amazing product that has done exactly that! Let me introduce you guys to the Thalgo - Unizones Clearing Corrector. I'm going to be honest, when I was contacted by Abloomnova to review a product from the Thalgo brand - I was going in blind. I had never heard of the brand before, but after doing some research into their History and Best Selling products I was thrilled to chose a product from such an innovative brand. So Thalgo is a French brand with an obsession with the Ocean and Marine world. Think all things mineral and natural with intense research into ingredients that actually make a difference and you'll know what this brand is all about. 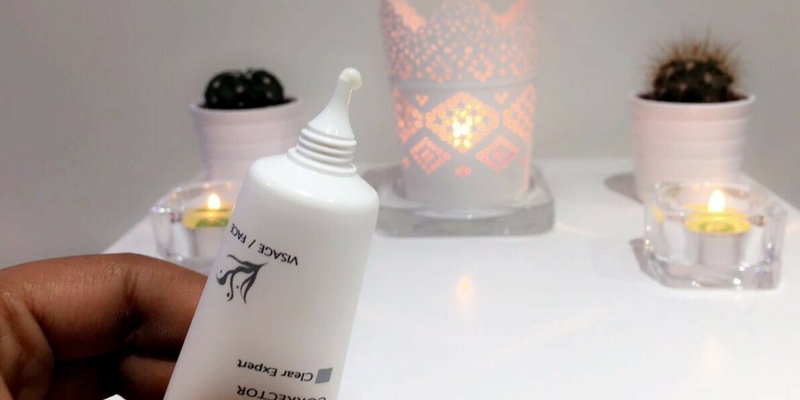 The Unizones Clearing Corrector aims to target individual pigmentation marks to reduce their appearance as well as working to slow down the production of melanin (dark pigments of skin). All in all the corrector aims to give you a more even skin tone whilst providing moisture. Seeing as Thalgo is about the use of natural elements in cosmetics - let's get scientific and dive deeper into the actual active ingredients that have worked wonders on my skin. Dulse: a type of red Seaweed known to make your skin smoother and more supple. Daisy: used to brighten skin and prevent hyper-pigmentation. Licorice: used to improve the look of an uneven skin tone. I've been using the corrector specifically on my main areas of pigmentation which for me are on the sides of my face (basically where my contour should normally sit) and around my mouth, although this area isn't as "pigmented" as my major problem area. I apply around a pea size amount every evening after removing all traces of make up with a cleansing oil. Okay now let me jump into the juicy bit.. Does it actually work? What did it do for my skin? Is it worth the money? What's the smell like? Let me give you the full low down.. So the cream feels exactly like a moisturiser, has literally no scent at all and is such a breeze to apply. I was pleasantly surprised by how easy the cream absorbed into my skin - because who doesn't hate a overly greasy and tacky moisturiser? And although the directions say you simply apply it to your problem areas, a little really goes a long way so I could spread it across my whole face to save having to apply ANOTHER cream everywhere else. I'm always cautious of new cleansers and corrector because they usually dry up my skin while they are working their magic but there was none of that with this Thalgo product. I was sooo happy to cut down the number of products I needed in my skincare routine. As for the results, see for yourself. I could notice such a change in the texture and appearance in my skin after 4 consecutive days of using the product. 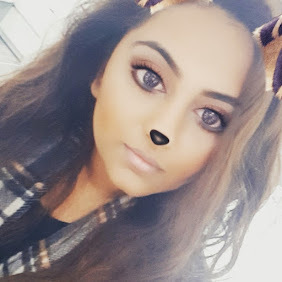 My scarring on the side of my face had reduced and were becoming more and more faint day my day and I noticed such a huge difference in my make up application. 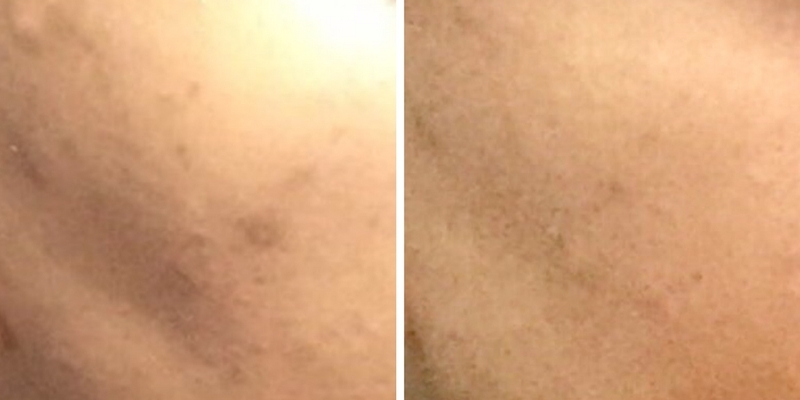 Usually, when I use a medium coverage foundation I got used to certain marks being visable but I was shocked when I could use light foundations and BB creams with no signs of my scars peeking through. I've tried so many different lotions and potions that promise to give me that flawless skin, which never really deliver but I'm so happy to say this is one product I can vouch for that has already made a huge difference and that I'm excited to keep using. Thank god it's so easy to use and actually works! Overall, as you can tell I have nothing but positive things to say about the Thalgo - Unizones Clearing Corrector. The product actually works, it's got a bunch of natural ingreidents and caused no signs of irration to my skin after 2 weeks of using it every single day. As for the price point, you can purchase this product for £27.11 on Abloomnova - they have a HUGE range of luxurious, amazing skincare brands on their site, fantastic customer care and their delivery was super super speedy! Let me know if you've tried this or any other Thalgo skincare product before and your thoughts below! *This product has been provided for review purposes, however all thoughts and opinions on the product is completely honest and that of my own.